Call Kim Blue to schedule a tour. She will make sure you find the home of your dreams. Explore Bradenton’s Old Florida history and visit its museums, parks and preserves. Don’t miss vibrant downtown Bradenton, the RiverWalk and the Village of the Arts – a working artists community. So take a break and visit Robinson Preserve, DeSoto National Memorial Park, the Cortez fishing village and the Manatee Village Historical Park. A collection of restored, historic buildings from Manatee County's pioneer past, the historical park includes a courthouse, one-room schoolhouse, farmhouse, general store, boat shop, steam engine and a Florida cowboy bunkhouse. It’s culture and it’s fun and it’s all in Bradenton. 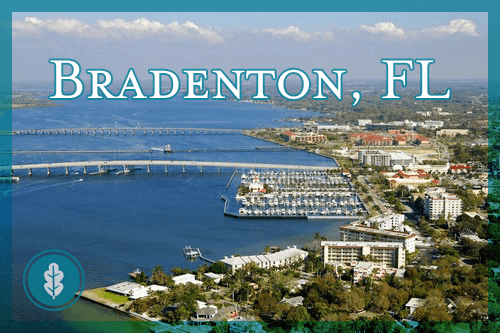 Plus, Bradenton is a short drive from such Gulf shores as Anna Maria Island, Holmes Beach and Bradenton Beach.